Mr. Chen Lian Pang, CEO of CapitaLand Vietnam, tells VET about his feelings on Singapore's 53rd National Independence Day as well as the close relationship between two countries which has contributed to the company's success in Vietnam. This year we'll be celebrating the 45thanniversary of Vietnam – Singapore diplomatic ties on August 1, and we'll be celebrating Singapore National Day on August 9. Could you please share with us your feelings? In May 2018, President Halimah Yacob and PM Lee Hsien Loong of Singapore welcomed PM Nguyen Xuan Phúc’s first official visit to Singapore and stressed that the trip was a milestone in the celebration of the 45th anniversary of the two countries’ diplomatic ties and five years of their strategic partnership. Singapore has always been one of the top ten trade partners of Vietnam and is its third biggest investor. CapitaLand is one of the biggest and the most successful Singaporean companies in Vietnam. We came to Vietnam just after the "Doi Moi” policy in 1994 through Ascott. The total value of our investment is around $732 million and our portfolio consists of 12 residential developments with around 9,100 units, two integrated developments, and 21 serviced residences with around 4,700 units across six cities in Vietnam. Can you share how CapitaLand received good support from both governments to do business in Vietnam? As a real estate company, CapitaLand receives a lot of support from both governments. I think the two Governments help businesses in Vietnam. They don't directly help the businesses but they do through this friendly relationship. There is also a lot of trust. The Vietnamese government trusts Singapore companies. To thank them for their trust, we always deliver as we promise. 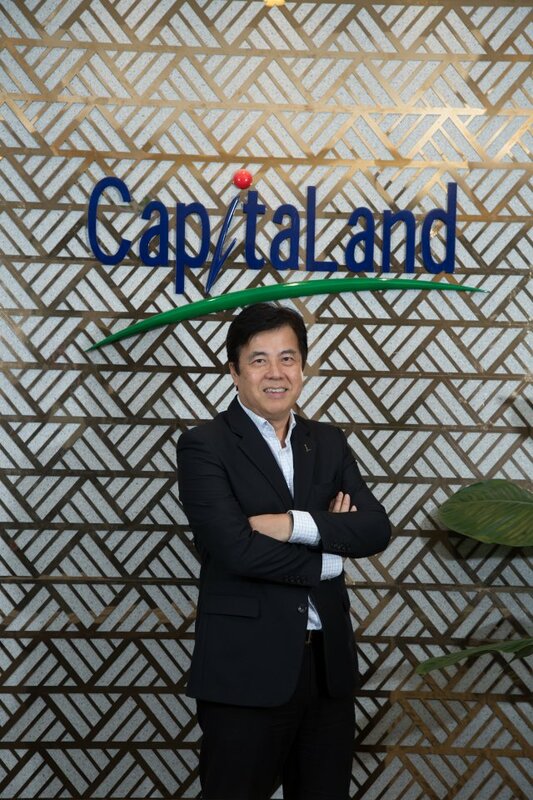 In March 2017, CapitaLand Ltd reaffirmed its commitment to being a long-term player in Vietnam’s growth with its plans to expand its multi-sector real estate presence in the country. In two respective meetings with the Prime Minister of Vietnam, Mr. Nguyen Xuan Phuc and Minister of Planning & Investment Nguyen Chi Dung, CapitaLand President & Group CEO, Mr. Lim Ming Yan, shared the group’s contributions and plans in Vietnam and reaffirmed its commitment to the country’s modern urbanization, particularly in Hanoi and Ho Chi Minh City. PM Phuc welcomed Singaporean businesses to participate in Vietnam’s burgeoning growth and appreciated the proactive participation of CapitaLand in the country's urbanization over the last two decades. He encouraged more businesses to invest in Vietnam responsibly by bringing value to the local communities through green, sustainable, and smart developments. What are your key success factors as a Singaporean developer? Because we have experience, we are a professional real estate company with so much experience around the world. We have gained knowledge from building our products in different countries and have developed high-quality real estate projects that are known around the world such as Raffles City. The Interlace won World Building of the Year in 2015. We can apply this in Vietnam. Innovation is our goal. How has CapitaLand contributed to Vietnam’s economy? Firstly, we employ 1,200 staff for both serviced residences and residential apartments. We also train our staff to work professionally based on Singaporean standards with a minimum of 40 hours per year. We promote young local talent to become head of departments and also train young project managers. We have a systematic training and development path for all of our staff and we're committed to developing our staff to have long-term careers within our company. Secondly, we apply all of our professional procedures from Singapore to our operations in Vietnam. For example, CapitaLand is committed to minimizing its environmental impact as a real estate developer. We believe that lowering the environmental footprint of our buildings through innovation creates value for our stakeholders. We incorporate environmental sustainability in the life cycle management, in all stages of a project such as feasibility, design, procurement, construction, operations, and redevelopment. In Vietnam, we remain committed to being a good corporate citizen and to build a greener future for Vietnam and the many generations to come. What are your major targets and development plans in Vietnam for the years to come? Vietnam is a key growth market for CapitaLand and we are seeing a strong demand for vibrant, quality live-work-play spaces with rapid urbanization, and the evolving lifestyles of young and mobile Vietnamese. Apart from the two segments of serviced residences and residential apartments, we have looked at office buildings. Knowing that CapitaLand Vietnam has plenty of CSR activities, please share more about it? As a group, CapitaLand contributes up to 0.5 per cent of its net operating profit annually to the CapitaLand Hope Foundation, its philanthropic arm, to promote the social growth and development of underprivileged children with respect to their education, healthcare, and shelter needs. In total, our three CapitaLand Hope Schools in Vietnam provide quality education to about 650 students each year. The third Hope School in Vietnam is located in Hung Yen province, and officially opened in May. CapitaLand Le Xa Hope Kindergarten is currently the largest school in Le Xa commune. CHF has contributed over $157,000 to the construction and enhancement of the school. Beyond building schools, we also aim to make a meaningful difference by giving time and attention to the children through our volunteer expeditions and programs. Apart from building CapitaLand Hope Schools, various CSR initiatives including blood donation drives, first-aid training, festive activities for street children, planting trees, and cycling day, have also been organized.